Nikki Seo developed into an unstoppable offensive force, which she hopes will take her to greater heights in Paris and MIT. 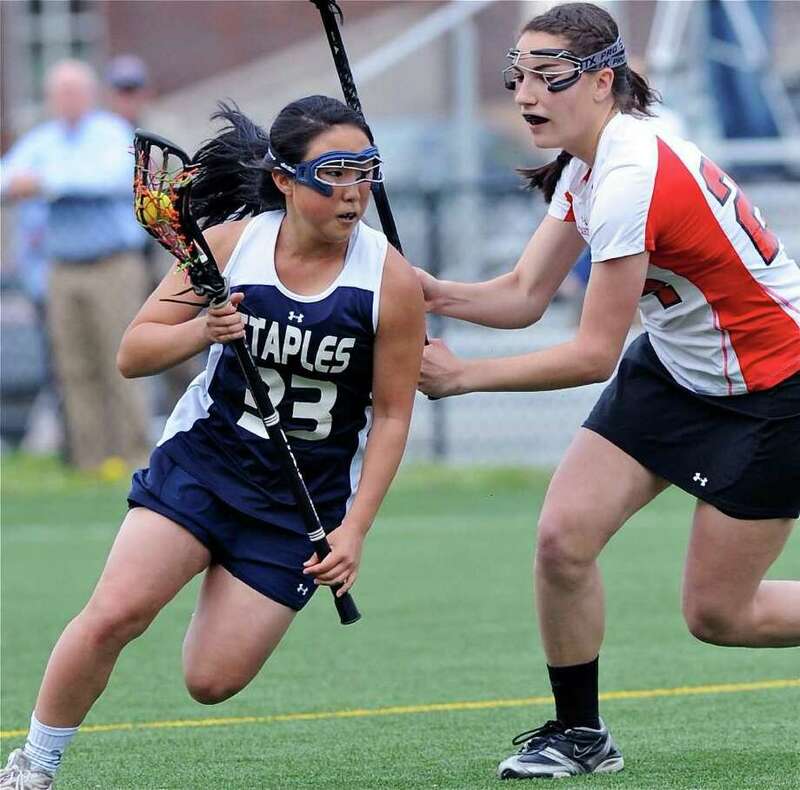 A senior quad-captain for the Staples girls lacrosse team, she was one of the team's top-scorers and for the second straight year, was a First Team All-FCIAC and All-State selection and the Block S team MVP recipient. Seo, who is doing a gap year next year in Paris, plans on playing there and when she enrolls at MIT, she is slated to play there as well. "It feels amazing because the individual accomplishments say more about the team than the player, especially the last two years," Seo said. "It shows how talented the team is. No one player makes a team and it comes down to the other 22 players that make or break the team." And Staples has been very successful the last two years, reaching the Division II finals in 2010 and Class L quarterfinals this year. 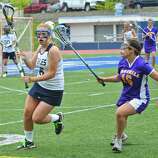 Nikki was indespensible this year, on and off the turf," Lady Wreckers Coach Cathy Schager said. "She was key during the off season, setting high expectations for conditioning and indoor league; she was a significant factor on the field, as always, scoring goals but also running a lot of our plays and controlling tempo. Finally, she did so many things, like creating and running conditioning programs for us." Seo played a major role with the Lady Wreckers going far because of her lethal shot. Almost all of the time she shot near the cage, she scored. "It's all about confidence," Seo said. "There were a few games I doubted my shot and I had only one goal in those games. You have to have the mindset that if you shoot the ball, it goes in." Many of her goals came because Seo outran and dodged her opponents. Although she would never call herself a sprinter, her speediness produced a significant amount of layup-style goals. "It's funny because I'm not fast," Seo admitted. "When we do sprints, I'm usually in the middle of the pack or last. In games, I don't know what happens. I look for open space and being low to the ground helped. Getting lucky also helped." Shooting isn't her only strength near the cage. Seo is also a deft passer and her crisp feeds produced many goals. "When I first started on Staples, I loved getting assists more than goals and I tried to lead the team in assists," Seo said. "The goals that resonate with me come on sharp feeds or quick moments when two players make the connection." Seo became a Lady Wrecker varsity starter freshman, which rarely happens. However, she's a special player who was ready for prime time right away and it showed in her play. "I was very fortunate the upperclassmen were welcoming and made me feel like I'm part of the team," Seo said. "Of course, there's a transition period between middle school and high school lacrosse but I tried to bridge the gap as soon as possible." 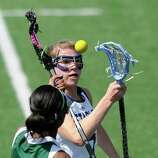 And her start in lacrosse came even earlier. Seo began throwing a lacrosse ball around with her brother Alex in her formative years and began playing organized lacrosse in fourth grade. Her contributions aren't limited to scoring. Seo is one of the team leaders in ground balls and has forced many turnovers. "Being low to the ground helped a lot," Seo said. "The first two years I played, the coach called me the vacuum cleaner. Ground balls are one of my favorite things. When you are able to pick one off, it's a gratifying experience." What Seo lacked in size, she more than compensated for it with heart, determination and athleticism, which played a role in her success. "Nikki was clearly a naturally gifted athlete before she got to high school in both field hockey and lacrosse," Schager said. "But what makes her so impressive is her work ethic and determination combined with her natural athleticism." Lacrosse wasn't the only sport she excelled in. Seo was also an outstanding field hockey player and sophomore year, she was Second Team All-FCIAC and received the Team Impact award. Although she was one of the top field hockey players with a promising career, she stopped playing after sophomore year to focus solely on lacrosse. "My parents encouraged me to focus on my interests and I had to make tough choices," Seo said. Leadership is a strength as she was a Lady Wrecker captain. Seo mostly led by example and also guided her teammates verbally. "It felt amazing being captain because the team had to vote and I was able to convey my passion for the sport and team," Seo said. "I hope I kept my promises to the team. Sophomore year, I wasn't the type [of person] to speak out [but] I think I developed a voice the past two years and I was able to combine the two [leading by example and verbally] into something useful." Academically, Seo excelled and was the team's scholar-athlete. Science, especially physics, is her favorite subject. "Doing both helps because when I step out onto the field, I forget about everything," Seo said. "When I step up to do my homework, I focus on getting it done." Seo plans on playing at MIT -- in two years. That's because she's doing a gap year at Le Cordon Bleu in Paris. Although she won't be playing lacrosse in the NCAA next year, she will be playing in Paris -- and in a league that's growing. "I have no doubt that Nikki will be an incredible asset for MIT," Schager said. "She is incapable of doing less than her best, and that is a wonderful trait to bring to anything. It also helps that she's an incredibly dynamic player." One challenge she faces is raising her game to the next level -- something Seo and people who know her feels she'll accomplish. "If I try my best, I don't think the transition from Staples to Paris to MIT will be a problem," Seo said.